The holidays are a time of fun, family, food and giving. 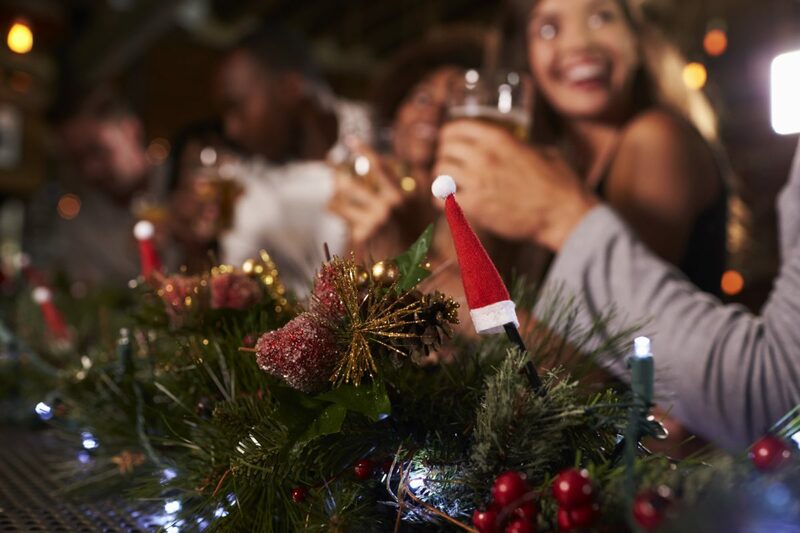 While everyone is in a cheerful mood, it is the time to market a bar (or restaurant) for holiday festivities. It can be an overwhelming and hectic season for these industries, but that doesn’t mean they can’t come out on top and ending the year on a lucrative note. In this series of posts, we’ll explore five holiday marketing strategies for any bar or restaurant to implement. Share the following information with your clients and also ensure their Sports Bar Insurance Program is up to date for the new year. It’s time to gear efforts toward search engine optimization (SEO). There are a lot of phrases and searches that go together this time of year. For example, “Christmas” is frequently searched with terms associated with “Festive” or “Gifts,” “Holiday meal” or even “Holiday shopping.” Gear blog posts and social media content toward addressing these searches. As a bar or restaurant, owners can attract new customers by creating relative yet engaging content regarding festive drinks and food that will get picked up by search engines. Partner with influencers in the industry. People who have significant reach on social media can be very helpful in the realm of promotion. Instagram is the primary channel for this, but Facebook and YouTube have been used similarly. Cultivating relationships with food, beverage, and travel bloggers is also a great idea to help get the word out to as many people as possible, recommends Taphunter. It doesn’t need to be over the top, but tasteful decoration can make the bar or restaurant feel more festive. Eye-catching, colorful displays can be put in the windows and garland and lights can be set up inside. It’s inexpensive to decorate and it will draw in more foot traffic. Holiday karaoke, tasting menus, wine sampling, and holiday beer tastings are great ways to draw a larger customer base this holiday. Everything has a holiday theme these days (think Pumpkin Spice everything), so tap into the flavors of the holidays for whatever events are hosted. Some other examples include live music, special guests, trivia and contests. Loyalty programs promoted during a holiday season can help ensure people will still have incentive to return once the season is over. It’s great to generate more business during the holidays, and it’s even better to keep those people coming back.